I am considering purchase of a heat pump. I want to understand my choices an make a good decision. For one thing: How could I be confident in the brand selection since he was not also a Mitsubishi installer? He told me that Fujitsu is better, but how could I consider that to be impartial advice? A new camp for middle school girls will run August 5 to 9 this summer, focusing on soccer and leadership skills. Sponsored by the Putney Soccer Club, the camp is open to girls who are completing grades 6, 7 or 8 this spring and will be held on the grounds of Hilltop Montessori School in Brattleboro, VT. 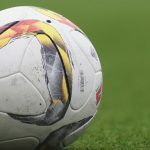 The coaching staff will be drawn from among high school soccer coaches at Brattleboro Union High School and The Putney School. Please read the attached press release regarding the 2018 Consumer Confidence Report/Water Quality Report. Sandglass Theater’s beloved Winter Sunshine series concludes the 12th season of family puppet shows with The Pirate, The Princess and The Pea by Crabgrass Puppet Theatre on Saturday March 30th at 11 am and 2 pm at Sandglass Theater. A special event for the whole family, Winter Sunshine is an experience unique to this area. Munch on cookies and sip Burdick’s hot chocolate in the lobby as you peruse the Sandglass gift shop, and then cozy in the theater for a colorful adventure. We are having a party, and you are invited. We will be drinking, a lot, at 118 Elliot on May Day. A lot of mocktails that is. 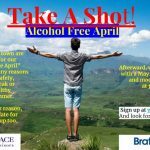 But right now, we are looking for more local people to sign up for our Alcohol Free April. Brattleboro dog and wolf-hybrid licenses are due on or before April 1. Vermont dogs and wolf-hybrids 6 months of age and older must be licensed on or before April 1. 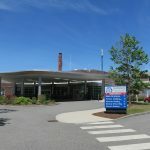 For dogs not previously licensed in Brattleboro, a first-time license must be obtained in person from the Town Clerk’s office. Licenses being renewed may be processed in the Town Clerk’s office, through the mail or online atwww.brattleboro.org. Just noticed Burger King is dark and all the signage removed. Anything to do with the famous mouse? Or just lease change or renovation plans? Windham Regional Woodlands Association (WRWA) is sponsoring its annual Sugar House Tour on Saturday. Each year WRWA showcases a different sugaring operation. This year East Hill Farm will be hosting the tour of their traditional wood fired sugaring operation with about 1050 taps on a pipeline, of which 400 are on 3/16” gravity line and an additional 700 taps with a light vacuum. In recognition of the old ways, they set out one to two hundred buckets. 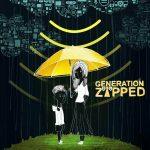 Generation Zapped reveals the evidence for impacts on our health, moods, behaviors, fertility, and brain function. 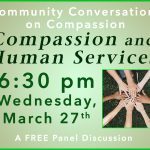 Join us at 6:30 pm on Wednesday, March 27th, at Brooks Memorial Library, as Compassionate Brattleboro brings speakers from around the community together for an FREE, open panel discussion. Speakers will include: Chloe Learey and Margaret Atkinson of Winston Prouty Center; David Schoales, Moderator. 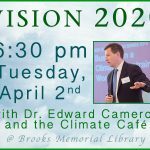 At 6:30 pm on Tuesday, April 2, Brooks Memorial Library and the Climate Café are pleased to welcome back Dr. Edward Cameron, a global climate change advocate with many years of experience working with the EU and other international organizations to to support bold actions towards the pursuit of a low-carbon, climate-resilient and inclusive global economy. 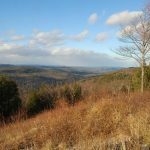 In this presentation, he will present the key lessons from the IPCC 1.5C report and outline a vision for building a low-carbon, climate-resilient and inclusive economy in Vermont, throughout the United States, and across the globe. He will look beyond challenges towards climate change, and explore how each of us can use this moment to build a just and sustainable world for all.